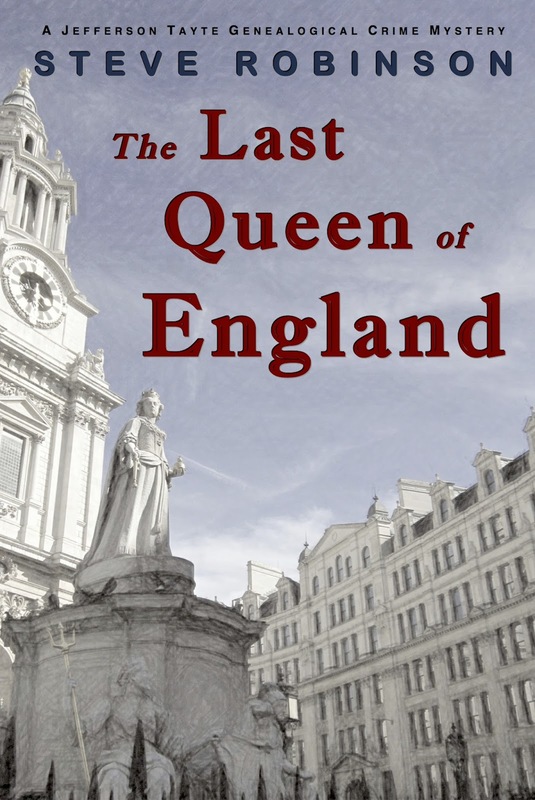 Steve Robinson - Author: The Last Queen of England now in my August promotion. The Last Queen of England now in my August promotion. 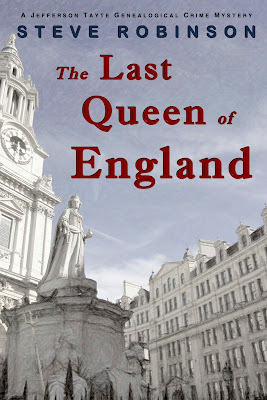 I've included the third book in my genealogical crime mystery series The Last Queen of England in my August summer reading sale. "It takes you on a roller coaster ride!" HISTORY: from the Greek - historia. Knowledge acquired by 'investigation'. It should have been a quiet weekend in London - a long overdue visit with the only true friend American genealogist Jefferson Tayte ever had. Now his friend lies bleeding in his arms and Tayte must follow his research to understand why, making him the target of a ruthless, politically motivated killer. Working with historian Professor Jean Summer and New Scotland Yard on what becomes a matter of British national security, Tayte soon finds himself in a race to solve a three-hundred-year-old genealogical puzzle. It takes them all on a deadly, high stakes chase across London as Tayte tries to connect the pieces and work out the motive behind a series of killings that spans twenty years. In what is Tayte's most personal assignment to date, The Last Queen of England combines historic fact with fiction, challenging British history as we understand it. It uncovers a conspiracy that if proved could ultimately threaten an institution that has lasted more than a thousand years: the British monarchy. Nullius in Verba: take no one's word for it. I've accepted an offer from Amazon Publishing!